Russell Rosenberg, Ph.D, D.ABSM, is the Founder and CEO of NeuroTrials Research. A clinical psychologist and board certified sleep specialist, Dr. Rosenberg lectures and teaches internationally on a range of sleep medicine topics. Dr. Rosenberg received his Ph.D. in Clinical Research Psychology from Ohio State University, and completed a residency in Behavioral Medicine and Sleep Disorders at Rush Presbyterian-St. Luke's Medical Center. His areas of expertise include insomnia and disorders of excessive daytime sleepiness. With over 25 years of experience in clinical sleep medicine and research, Dr. Rosenberg is a Board Certified Sleep Specialist and Fellow of the American Academy of Sleep Medicine. He served as the Chairman of National Sleep Foundation from July 2011 to August 2013. Dr. Rosenberg is also the founder & director of the Atlanta School of Sleep Medicine, where he lectures and teaches internationally on a range of sleep medicine topics. His areas of expertise include insomnia and disorders of excessive daytime sleepiness. He has appeared on local and national television news shows including The Today Show, Good Morning America, Fox News, Headline News, CNN, and MSNBC. An avid photographer, Dr. Rosenberg enjoys taking photos in new destinations and familiar places and often packs his camera on his travel circuit. ​Michael Lacey, M.D., D.ABSM, Diplomate ABPN- Sleep Medicine, is a primary investigator with NeuroTrials Research. With more than 25 years experience in clinical research, Dr. Michael Lacey is board certified in neurology and sleep medicine, seeing patients in his private practice office. Lacey received his Neurology training at Eastern Virginia Medical School and Eastern Virginia Graduate School of Medicine, and was Chief Resident in Neurology. He later completed a fellowship in Epilepsy/Neuromuscular Disease at Emory University. A practicing neurologist, Dr. Lacey is also the Medical Director of the Atlanta School of Sleep Medicine, lecturing on Nocturnal Seizures, Limb Movement Disorders, Narcolepsy, Patient Evaluation and Interpretation and is a facilitator in patient case analyses for a variety of courses. Dr. Lacey, a native of Alexandria, VA, is an accomplished musician and professional songwriter. 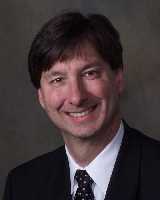 ​Matthews Gwynn M.D., acts as a primary investigator for NeuroTrials Research. Dr. Gwynn attended the College of William and Mary in Virginia and obtained his Bachelor of Science in chemistry in 1981. In 1985 he graduated from the University of Virginia Medical School and completed an Internal Medicine residency at the University of Alabama in Birmingham in 1988. He then returned to the University of Virginia for his Neurology residency. Dr. Gwynn is board certified in Internal Medicine and Neurology, has a special interest in movement disorders, and has developed a special expertise in the use of botulinum toxin (Botox®). He is known professionally as a leader in this field in the Southeastern United States. Dr. Gwynn is the chief of Neurology at St. Joseph’s Hospital of Atlanta and is on the board of directors of the Medical Association of Atlanta.